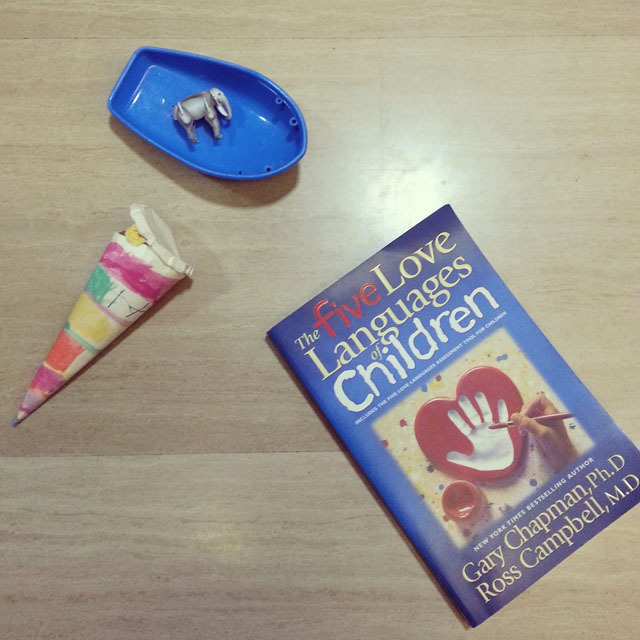 I learnt something important after re-reading The Five Love Languages of Children (affiliate link) over the weekend. On the subject of discipline, the author emphasises the importance of contextualising discipline in love. That is, when the child is receiving correction and consequences of his behaviour, he needs to know he is first of all loved by his parents, and also that this discipline /correction is part of that love. One useful method that Chapman advocates is to sandwich the discipline with love, using your child’s main love language. So for instance for Vera, quality time and physical affection are important to her, so before I mete out a discipline or consequence, I can give her a hug or hold her hand. Then after the discipline, spend a few minutes with her instead of rushing off. Or I could actually sit her on my lap throughout the whole time. This way, she knows that I am not withholding my love from her, even when I need to address the wrong she’s done. Another tip I learnt from the book is to refrain from using a form of discipline that is directly related to your child’s main love language. So if words of affirmation is important to your child, avoid using harsh words on her. As Chapman states, “Critical words can be painful to any child, but to this child, they will be emotionally devastating.” And if quality time is his thing, don’t discipline by removing that quality time you were scheduled to spend with him. Now does this mean that if your child’s primary love language is touch, you should avoid spanking? I think for the most part, the answer is yes. And if you do need to use such a form of discipline, try your best to be measured in the spanking, for instance, setting a limit to the number of spanks that matches the level of misbehaviour. And when the discipline has been meted out, remember to hold your child close and reassure him or her of your love. Reading the chapter turned on a light bulb for me. I’ve been rather stretched of late and I haven’t realised how curt and harsh I can be when disciplining the kids. I’ve been task-oriented, moving the kids through a long list of to-dos, and feeling frustrated when they don’t comply promptly. I’ve (conveniently) forgotten the love part of discipline, and am feeling a little bummed for allowing stress to steal our joy away. But I guess it’s never too late to start on a clean slate. And I’m glad to have re-read the book just at this point in time when I needed a reminder. I hope you find this helpful too. This is Little Lessons #19. 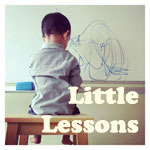 Little Lessons linky runs on the blog every Thursday. Do grab our badge and link up your little parenting lessons / learning activities below! I’m guilty of being harsh and curt when disciplining the kids too, especially during times when I’m stressed and exhausted. It is easy to forget our kids’ feelings when we discipline them, due to our own frustrations and stress. Thanks for this reminder. I think that’s a great book to read! I’ve read the 5 languages of love but haven’t read the kids version! I think I will get myself a copy! Ever since I’ve returned to work, it’s been really tough and I find myself losing my temper a lot with Aly ;( thanks for this reminder to be sensitive towards the kids’ feelings! Adjusting back to work can be stressful and tough for the whole family, so do take extra care of yourself. I’m praying that you’ll ride through this phase soon!